Hoelscher Gebbia Cepeda, PLLC, values the privacy of our clients. We know that most of our clients don't want media exposure and that few cases benefit from it. We go to great lengths to avoid the media in most cases and can help decrease media interest in your case. However, here are a few cases where the clients directed us to be involved. They include wins and losses, but every case was hard fought. Joe Hoelscher first experienced court as a child after his mother Diann was abducted and his father was falsely accused of her murder. After 30 years, and multiple botched investigations, Diann was finally recovered and laid to rest. Robert Price, one of Joe's former students, recorded the only authorized interview about this still open case. Joe Hoelscher speaking out about the Bexar County DWI blood draw program. The lab handling blood testing for San Antonio and Bexar County was shut down after Joe cross-examined the lab tech, Elizabeth Feller. As of the end of 2015, Bexar County had resumed testing blood samples in DWI cases through DPS' lab in Austin. Joe still believes mandatory blood testing is wrong and looks forward to attacking DPS next. Joe Hoelscher takes down David Luther, the foremost DWI cop and SAPD Field Training Officer in Bexar County. Joe Hoelscher aggressively attacks the CPS and DFPS system in court. Texas CPS has made national news for failing Texas children and their families, but the Hoelscher Gebbia Cepeda, PLLC will hold them accountable, just like in this news-making case. As a public service, Joe and a group of prominent criminal defense attorneys have volunteered to help assist the victims of a San Antonio lawyer, Mark Benavides, who is accused of forcing his clients to submit to sexual assault. If you are a victim of Mark Benavides, please contact Hoelscher Gebbia Cepeda, PLLC, today. All services provided will be free of charge and counseling referrals are available. Hilda Valadez was a prominent San Antonio lawyer who was infamous for her aggressive style and the difficult cases she handled, including death penalty cases. In a case that received national attention, Hilda was indicted for 46 counts of White Collar crimes, including the alleged forgery of multiple judges' signatures on court orders. Although this case ultimately resulted in a plea, Hilda received probation, despite massive political and media pressure to send her to prison. Tatiana Anderson is a young girl who was mauled by a neighborhood dog. As part of our firm's ongoing commitment to child welfare cases, Tatiana was represented pro bono. We sought, and received, national media coverage as a means of warning dog owners about the risk of chaining dogs in the summer heat. Marcus Cooper was a court-appointed client charged with Aggravated Assault-Deadly Weapon. Despite significant negative media coverage, he was acquitted by a jury. Joe Hoelscher's cross-examination of the interrogating detective is now the subject of a Mandatory Continuing Legal Education ("MCLE") course taught to lawyers. After winning the first case, Mr. Hoelscher was removed and a new lawyer appointed for Cooper's remaining cases. Joe continues to consult pro bono. Frank Dotson was well-known to many folks on the East Side of San Antonio and was a cook at Fort Sam Houston. One night, he was caught in a gun fight between drug dealers and charged with Capital Murder. After the charges were reduced, Frank was tried on 2 counts of Aggravated Assault-Deadly Weapon. His co-defendant received 2 life sentences. Frank was acquitted of one charge by a jury and sentenced on another. He was out of jail within a week of his trial. Luann Chase was on the run for years before appearing on America's Most Wanted. After she was captured in San Antonio, Joe Hoelscher, then a new lawyer, was appointed to her case. He successfully delayed her extradition while her out-of-state defense team got established and won a dismissal of her charges in Texas. Theresa Rodriguez was a teen mom who did everything right after DFPS/CPS got involved in her life. Overcoming incredible abuse, the suicide of her fiancé, and her own mental health issues, Theresa graduated, got off Disability, became employed and won her daughter back. Unfortunately, after two jury trials involving six parties, she lost her rights to her son Zachary Cole Jaeckle on a 10-2 split decision by the second jury. This case was appealed to the Supreme Court. 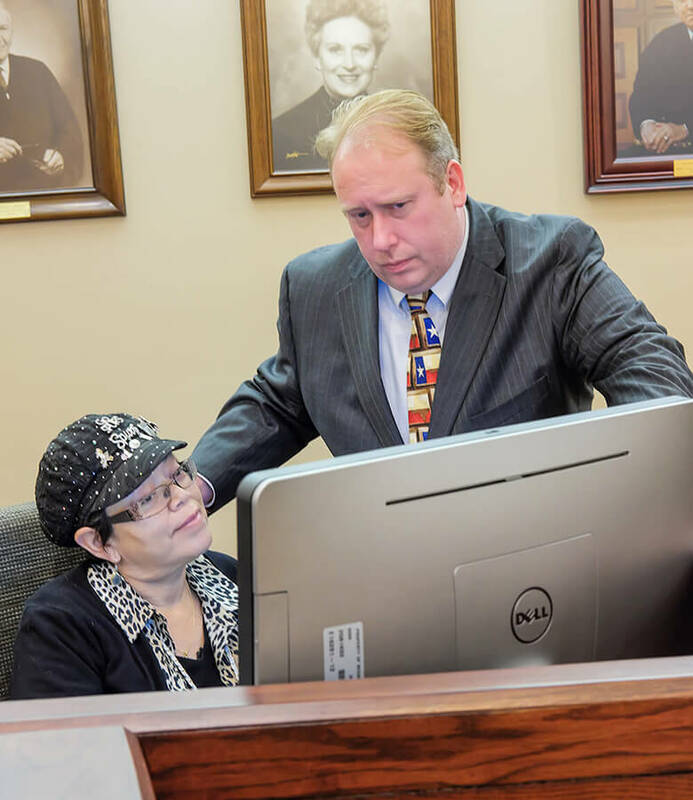 Joe Hoelscher is often quoted for his expertise within the legal profession, including topics such as access to justice for the poor, accountability for elected officials, First Amendment issues, Second Amendment defense, and women and children's issues. Although many articles are no longer online, some recent articles and interviews are included below.